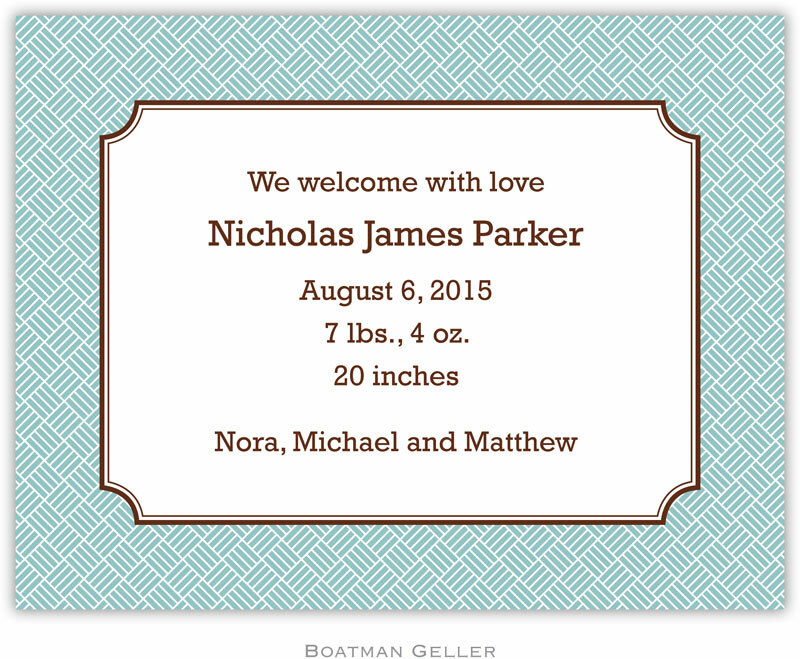 Completely customized cards that can be used as invitations or birth announcements (or anything else you want!). You choose the colors for the pattern, another color for the inner border/accent and an ink color for the text. Choose a typestyle and specify your text - and you have created your very own masterpiece! Slate (P17) shown. 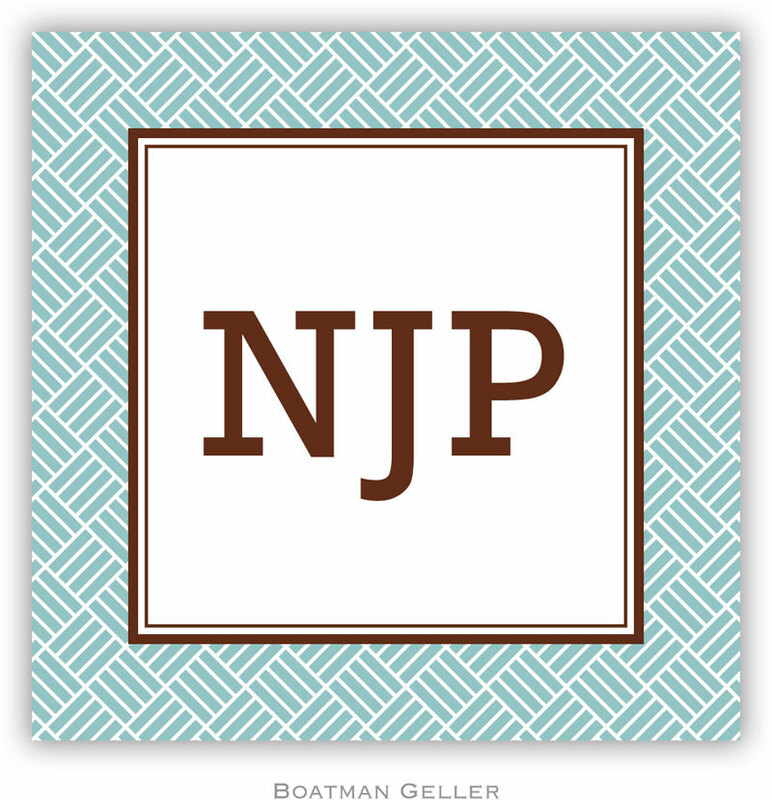 Choose from any available ink color for the outer border pattern. Chocolate (A14) shown. 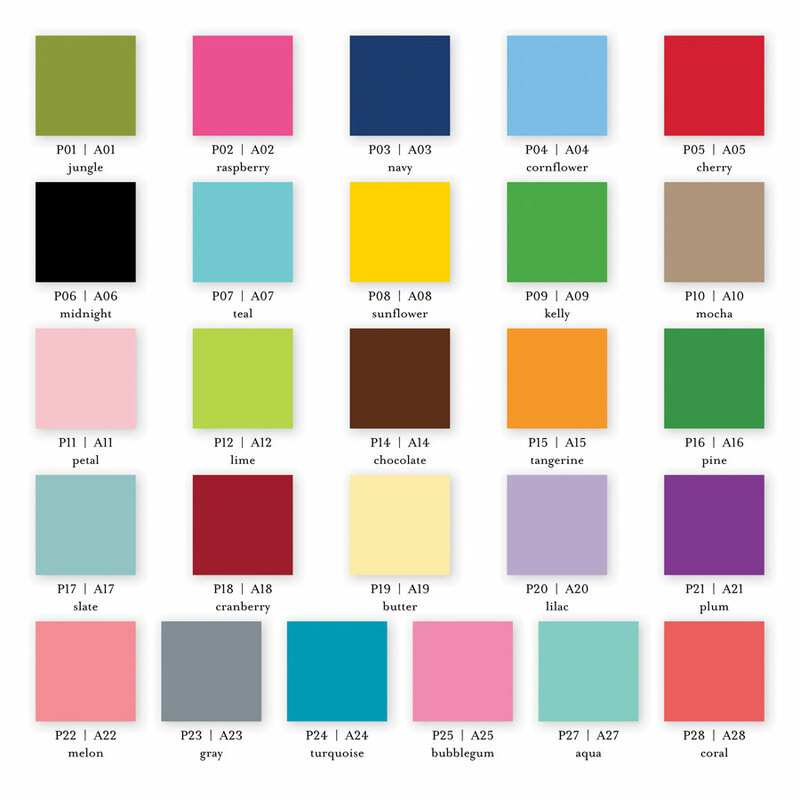 Choose from any available ink color for the inner border/accent color. Rockwell shown. Choose from any of the available typestyles. Chocolate shown. Choose from any available ink color for the personalized text. Optional matching self-adhesive return address labels and square gift stickers available for an additional fee. 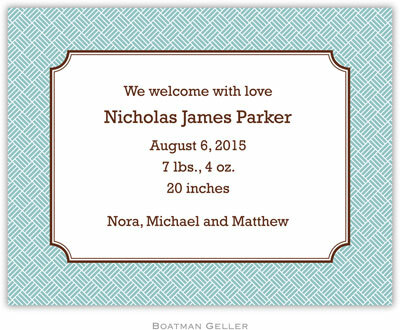 The pattern and accent colors will match those chosen for the card. Blank white envelopes are included with the cards. You may add envelope linings for an additional fee. Can be printed on the back flap of the envelope in your choice of typestyle and ink color for an additional fee.